Re-assigning Marls as Mixed clays? 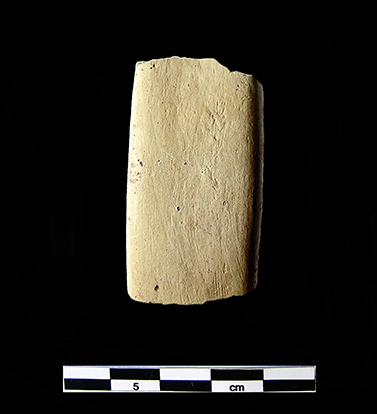 Few days ago, preparing our sherds for the cutting of the thin sections, we stumbled across two samples (SAV/S 57 and SAV/S 59), previously classified as “marl D”. With a fresh break, they appeared a little bit peculiar compared to the others classified as this well established Egyptian fabric. Therefore we wondered if they actually were something different from a marl D (being aware of the variations within this group, cf. Rose 2007: 14-15), as for example a mixed clay, attested at other New Kingdom sites like Elephantine and Memphis (see Aston 1999: 6; Budka 2005: 94-95; Bourriau 2010: 27-28, G6b). This ‘suspicion’ seems now to be confirmed by means of the microscopic observation of the thin section! 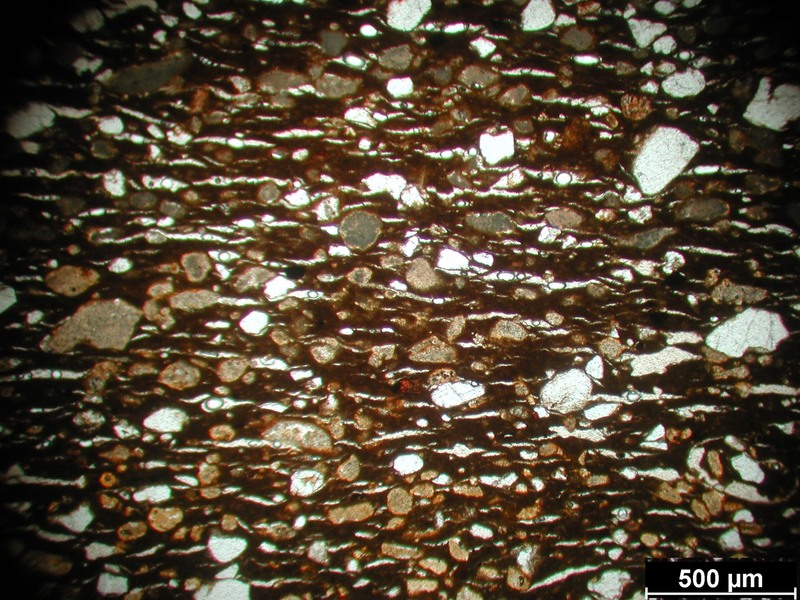 Under the thin calcareous layer forming the white slip of the vessel, both of these samples disguised a quite ferruginous matrix, surrounding by numerous silicate minerals as quartz and feldspar (mainly plagioclase). Among others, the non-plastic inclusions included: Fe-oxides, biotite and muscovite mica, clino-pyroxenes and possibly volcanic rock fragments plus scattered clay pellets. 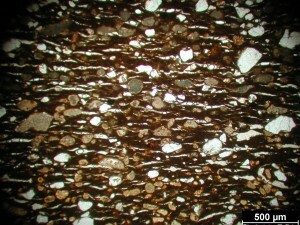 In addition, small to medium calcareous inclusions were identified in the framework – but in a significant lower amount than in the proper marl D fabric. SAV/S 57 and 59 show a very fine and homogeneous texture and few shrinkage cracks. 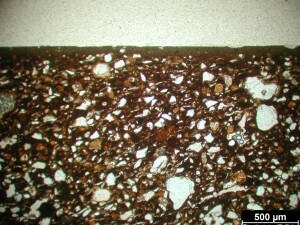 In contrast, some of the marl D samples (for example SAV/S 29) are characterized by a high secondary porosity. Taken together, the present data suggests that both SAV/S 57 and SAV/S 59 are likely to be either a mixture of Nile and Marl clays, or even pure Nile silts containing a small percentage of limestone particles (cf. Bourriau 2010: 24, G6a)! Forthcoming chemical analyses will allow us to confirm (or modify) this idea looking at the bulk composition and at the comparison between the samples! By now we can just stress once again the usefulness of such kind of scientific interdisciplinary approach and the advantages that may derive from combining macroscopic observations and analytical methods in the study of the ceramic materials. Aston 1999 = D. A. Aston, Pottery from the Late New Kingdom to the Early Ptolemaic Period, Elephantine XIX, AV 95, Mainz am Rhein. Bourriau 2010 = J. Bourriau, The Survey of Memphis IV. Kom Rabia: The New Kingdom Pottery, Excavation Memoir 93, London. Budka 2005 = J. Budka, XII. Zur Keramik des Neuen Reiches – erste Beobachtungen anhand des Materials aus der Oststraße B II, in G. Dreyer et al., Stadt und Tempel von Elephantine, 31./32. Grabungsbericht, in MDAIK 61, 2005, 90–116. Rose 2007 = P. J. Rose, The Eighteenth Dynasty Pottery Corpus from Amarna, Excavation Memoir 83, London. This entry was posted in Archaeology, New Kingdom, Sai Island and tagged Ceramic fabrics, Marl D, mixed clays, Petrography by Giulia d'Ercole. Bookmark the permalink.